A round up of all the blog traffic on remote Viewing this last week. 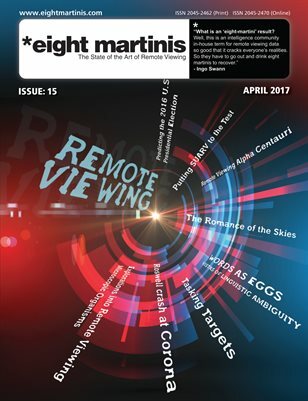 Using Remote Viewing to Mitigate or Avoid a Global Cataclysm. This Man Was a Psychic Spy for the U.S. Government. Video Interview with Joe McMoneagle. Opening a Window to the Past, Present & Future [fusion_builder_container hundred_percent=”yes” overflow=”visible”][fusion_builder_row][fusion_builder_column type=”1_1″ background_position=”left top” background_color=”” border_size=”” border_color=”” border_style=”solid” spacing=”yes” background_image=”” background_repeat=”no-repeat” padding=”” margin_top=”0px” margin_bottom=”0px” class=”” id=”” animation_type=”” animation_speed=”0.3″ animation_direction=”left” hide_on_mobile=”no” center_content=”no” min_height=”none”]. Posted on August 28, 2012. PreviousPrevious post:Remote viewing Round-up BLOG & news this week ending 7th September 2012.NextNext post:Remote viewing Round-up BLOG & news this week ending 24th August 2012.